ClearSight Optometry Sunscreen in the Eyes- OUCH! Home » What's New » Sunscreen in the Eyes- OUCH! Sunscreen in the Eyes- OUCH! If you have ever gotten sunblock in your eyes, you are aware how painful it can be. A very good rub in the eye can sometimes result in burning that lasts for hours. It can take a long time until the victim can feel comfortable enough to open his eyes, especially outside in the bright sun. There's no doubt getting sunblock in your eyes is likely to ruin a day of fun in the sun very quickly. Although it is likely that discomfort will last for a while, it is important to tend to it as soon as possible. The most effective treatment is to immediately flush the eye out with running water for some time. This will rinse the sunscreen out of the eye however it may not reduce the discomfort for a while. While it won't help to remove the sunscreen, applying cool, wet compresses to the eyes may have a soothing effect. Eye drops such as Visine may be useful in flushing out the eye, but they will cause burning. After flushing, it is normal for vision to be somewhat blurred. If discomfort persists after a few hours see your eye care professional. Do not spray sunblock straight on the face. Always apply first to the hands and rub into the face. Don't permit little kids to put on sunscreen themselves. Never leave sunblock where children can reach it . Be sure to rub sunblock in completely. Be very careful not to apply sunblock too close to the eyes. 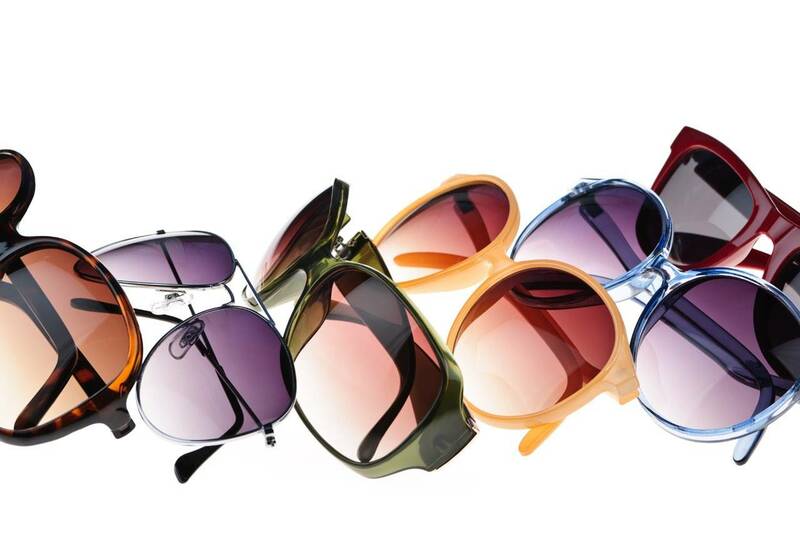 Wear large sunglasses to guard the eyes and the areas around them from ultraviolet rays.